4 Months – 6 Years of Age -- The first step in the LITTLE SPLASHERS journey. Our mom and little ones program has mothers and fathers in the pool with the kids and starts with them learning to enjoy the water. 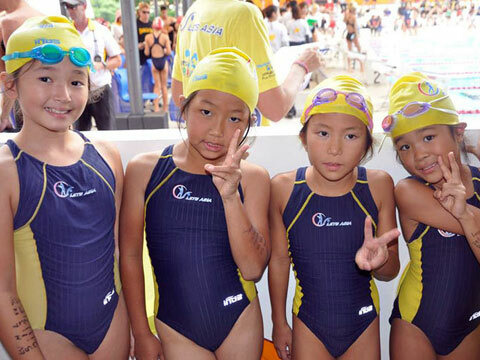 7 Years – 17 Years of Age -- The Fast Fins program is the Third major step towards the complete swimmer. Usually children around the age of 5 or 6 will make the move from Little Splashers to Fast Fins. 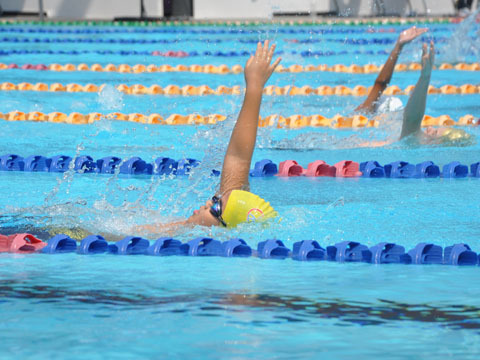 This portion of the FAST FINS Program is aimed at the very good young swimmers and we work on stamina, proper racing dives and turns and speed, this program is very rigorous and only offered to very talented swimmers.